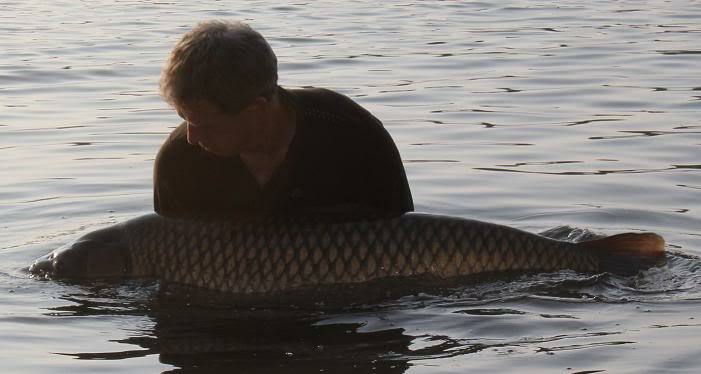 A new French record grass carp was caught at Etang de La Horre in april at 76lb 8oz. The current world record grass carp is 87lb 10oz. French Etang de La Horre is known for it's huge grass carp, already being good for the world record brace grass carp back in 2009. 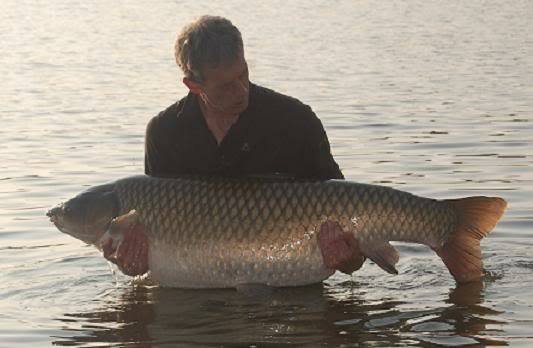 On April 28th a British angler caught a huge grass carp of 76lb 8oz at La Horre, being a new French record grass carp. Check out the pictures of the huge fish below. 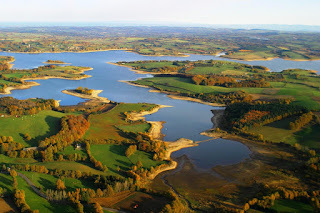 Apart from huge grass carp La Horre is known for it's big common and mirror carp with current lake records of 72lb for a mirror carp and 70lb 6oz for a common carp. Both fish were caught in the 2010 season. The record catch at La Horre isn't enough for a new world record grass carp. Earlier the biggest known grass carp were caught in the United States, but in 2009 the world record went back to Europe. 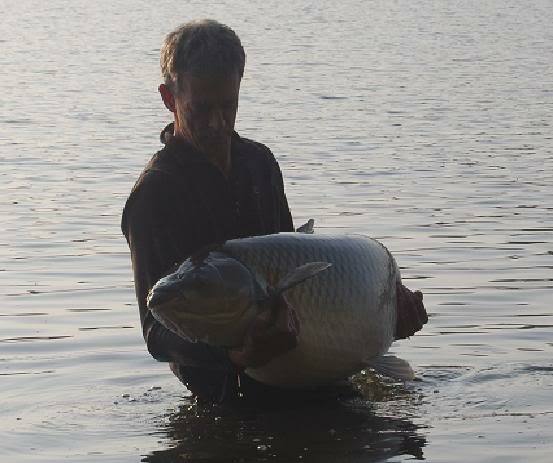 Bulgarian fisherman Stoian Iliev broke the world record grass carp on July 22nd in 2009 with a 87lb 10oz monster, caught near the Piasuchnik Dam in Bulgaria.